The Long Beach Lone Sailor Memorial honors the thousands of men and women who have served, and continue to serve, our nation on the seas. Situated on a peaceful bluff with a panoramic view of the Pacific Ocean, this magnificent bronze statue is surrounded by a plaza of etched, commemorative bricks. Sculptor Stanley Bleifield created several Lone Sailor memorials throughout the country; however, the Long Beach statue is the only one that looks out to sea. It is a fitting site that reflects the proud Naval heritage of the City of Long Beach. You, too, can be a part of this remarkable history. By purchasing a commemorative brick, you can pay tribute to a loved one, acknowledge a special anniversary or event, or honor those who serve our country. Commemorative Bricks are available in four sizes. Please contact us at (562) 570-3209, for more information. gave their lives in the service of our country, from World War II until now. The memorial wall remembers those who served their country either at the home front or in the war. This wall will be a place for the families of our fallen, friends, and loved ones to ensure their loved ones will never be forgotten by our community and all who visit the park. 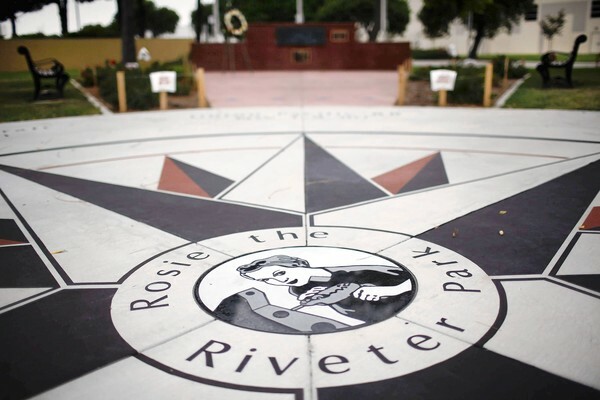 This magnificent memorial is located at Rosie the Riveter Park, and is not only a tribute to all our men and woman who contributed to the war effort, but also honors all those who have sacrificed for our freedom. Marble Tile Plaques are available in three sizes. Please contact us at (562) 570-3209, for more information. 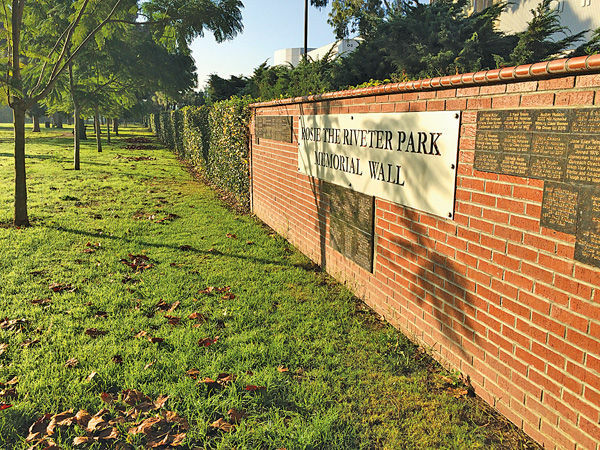 Honor the special people and events in your life, and provide lasting beautification to our city parks. Dedicate a bench to a special someone and enhance and beautify our city parks. Any individual, family, business or community group can purchase a bench with a personal message on an engraved plaque to be placed in a city park or golf course subject to availability. Please contact us at (562) 570-3209, for more information.